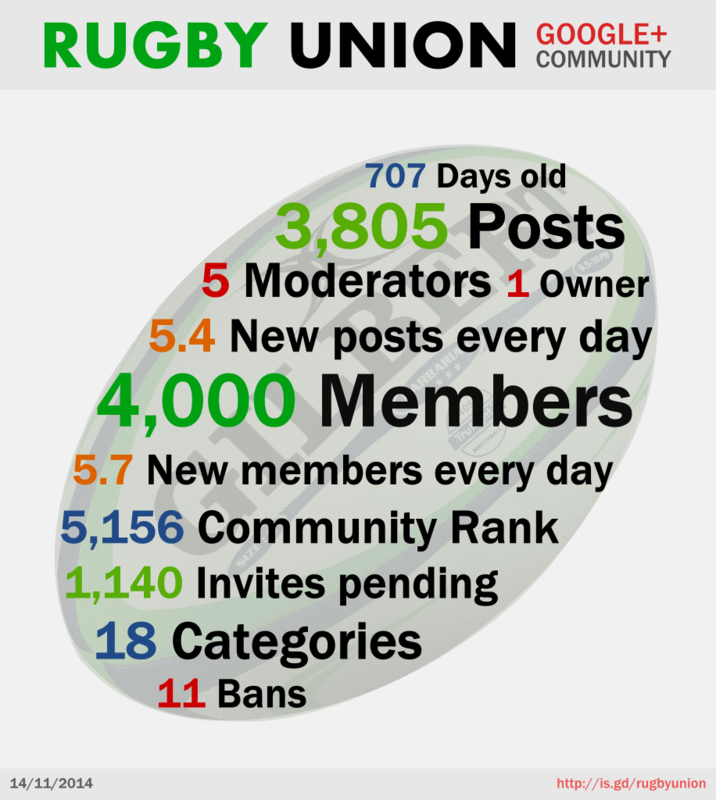 Last Friday 14th of November my Google+ community dedicated to Rugby Union reached and passed the 4,000 members mark! At the time of writing we are the biggest and most active rugby community on Google+ with 4,025 members and 3,827 posts. To celebrate this milestone I’ve created an infographic which highlights some numbers of the community. If you love Rugby as we do you should definitely join the Rugby Union Google+ community.